KISA denounces the continued arbitrary detention of Mr. Mehmet Sapmaz, a Turkish citizen residing in Famagusta, who on 31/8/2017 was abused and undergone inhuman and degrading treatment by a policeman at the Ledra Palace checkpoint. KISA reminds that, after its complaints and the testimonies of eyewitnesses of the abuse to the Independent Authority for the Investigation of Allegations and Complaints Against The Police (IAIACP), the Legal Services rejected the registration of the incident as a criminal case, as it was initially pursued by the Police, and ordered instead the penal interrogation to investigate the complaints of Mr. Sapmaz and his abuse by the police. IAIACP then started investigating the complainant’s complaint while requesting, on the basis of the Attorney General’s instructions, the Director of the Civil Registry and Migration Department (CRMD) not to deport the complainant for investigation purposes. Mr. Sapmaz has, however, since been detained at the Menogia detention centre on the basis of orders of the CRMD Deputy Director and has taken legal action at the Supreme Court against his detention. It is pointed out that if the presence of Mr Sapmaz in the areas controlled by the Government of the Republic is necessary for the purpose of investigating his complaints, this could have been achieved with milder measures and in accordance with the provisions of the Aliens and Immigration Law, with his immediate conditional release, until the investigation of his complaints is complete. And this because the basic principle of the Law is that detention for deportation constitutes the ultimate measure, which is only taken if other less repressive measures have been tried and failed. 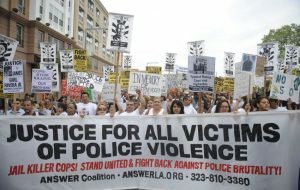 Tthe detention of a citizen while their complaints of Police abuse are under in are under investigation has no legal basis nor is it justified, while in effect it constitutes a punitive measure and a means of pressuring them so as to withdraw their complaint in order to be return to their family. to be conditionally released and, if his presence is necessary for the investigation of his complaints, to be given a period of time determined by IAIACP for voluntary departure.